Canada bound: Whistler Bike Park, here I come! Tomorrow, as that old singing dude is so fond of saying, I’m leaving. On a jet plane. Funnily enough, I know fine when I’ll be back again. Too soon, I’m sure. ounds when I also tell you that I was staying in Seattle at the time and we were pretty tight for time. We were determined to visit Whistler just once though, even though it meant a good 8 or 9 hours driving each way, just for the one day there. And was it worth it? Damn right it was. My memory of Whistler is probably rose tinted thanks to the tiny amount of time I spent there and the anticipation of visiting one of the hallowed halls (outdoor halls… yep) of skiing. The experience was amazing though – pristine powder, blue skies and multi-mile long gondolas occupying the front row in my mind. The apres-ski pint at the Longhorn was the sweetest beer I’ve ever tasted and, most certainly, bikini clad beauties (thong-clad studs for the girls obviously) massages our sore legs to provide a perfect finish to a perfect day. Ok, ok, perhaps I’m over egging it a bit. But hey, I’m going back – of course I’m talking it up! This time, however, there wont be any of the white stuff. It’ll be all brown trails and green trees, and I think I’m possibly even more excited! With skiing, there are plenty of famous locations around the world, all forming a plateau of ski resort lore. All locations you dream of visiting one day to try out your skills. With mountain biking, however, there are far fewer dream destinations. Scotland, amazingly, is actually one of them – Glentress, Fort William and their ilk forming a network of trails around the country that make me feel damn lucky I live here. France has one or two locations, Morzine and the Mega-Avalanche starting to make a big name for themselves. And the USA, of course, has Moab, the famously unforgiving slickrock trails, just waiting to separate you from your skin. But Whistler… Whistler was probably the first international trail I ever heard about, back when I was still a mountain biking infant. I looked it up and found jaw dropping videos of crazy Crankworks hucks and cross country nirvana. For goodness sake, those smooth, swooping North shore boards, a staple of the modern trail centre, is named after an area just south of Whistler, Vancouver’s north shore. This is one of the places where it all began. 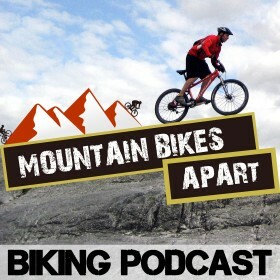 Where our amazing sport grew up and transformed from loonys careering down grass banks on barely modified road bikes into the ultra-specialized, multi-discipline sport we know as mountain biking today. Whistler is freakin’ awesome…. I absolutely hucked a jump on the A Line and got too cocky, coming down too fast on the next one. Losing 50% of the skin on my leg didn’t stop me coming back the next day though, couldn’t miss out on that. Nowhere better for biking!